Some engagement shoots revolve around the location, others, optimal lighting. However, Brian and Angels was truly all about their cat! A magical cat that's spoiled beyond words by it's parents! We were able to capture shots of the precious feline and one with the OneWheel (see below). This Uptown couple wanted a shoot that was a reflection of their lifestyle. 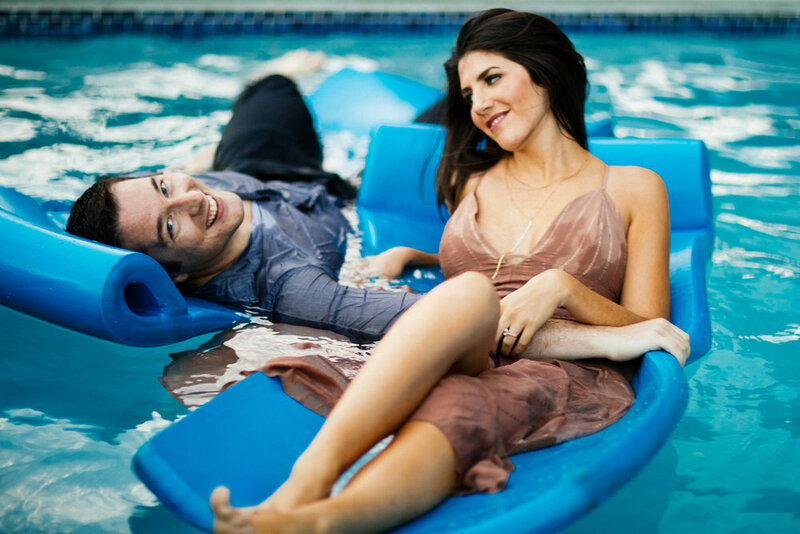 We started out cozied up in their Walkway Uptown apartment and ended the shoot by jumping into the pool. We always like an adventure and this engagement shoot pulls you right into the life of Angel and Brian!